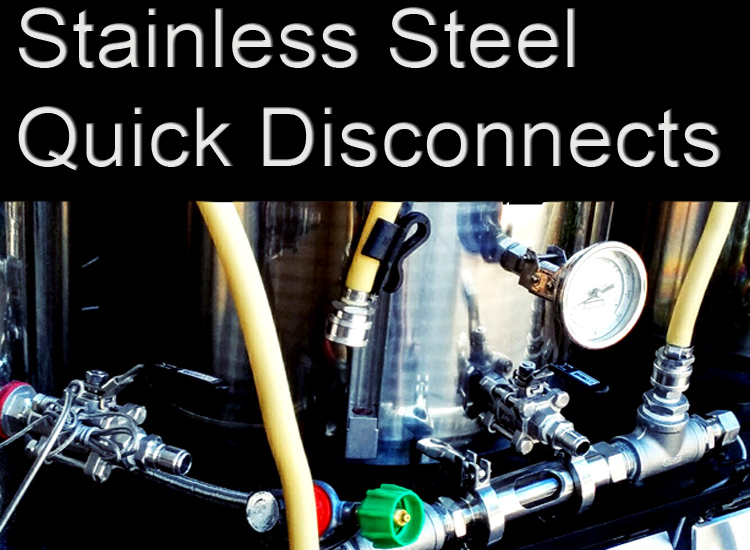 Home Brewing stainless steel quick disconnects and quick connects can save you time and lower frustration levels on brew day. 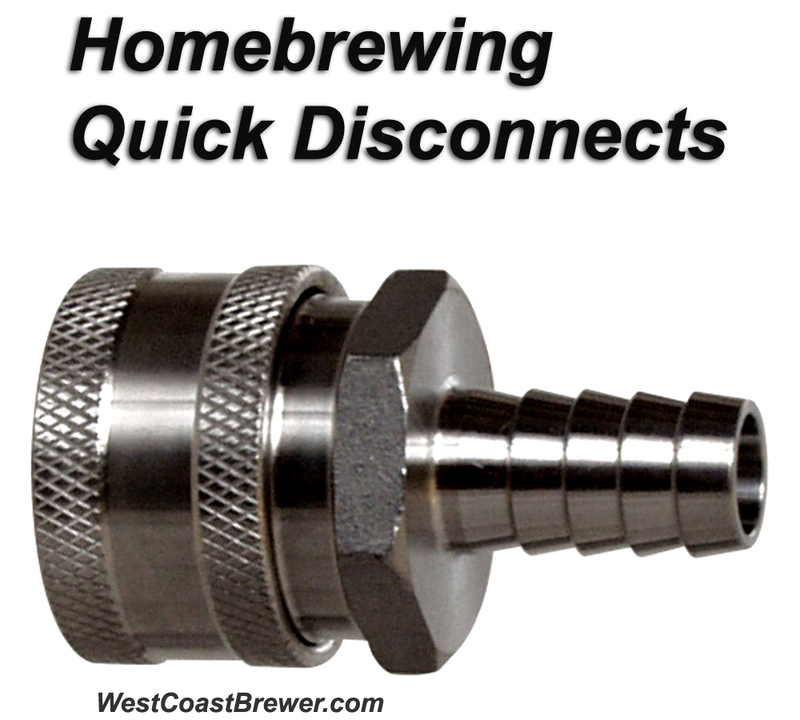 As the name suggests, quick disconnects allow a home brewer to quickly, safely and easily disconnect a home brewing pump or transfer tube and connect it to another item. They are easy to install and can make clean up a snap as well. Here are the best deals that I have been able to track down on some of the most popular 1/2″ stainless steel home brewing quick connects and quick disconnects. I have compiled a list of some of the best prices I could find on homebrewing quick connects and homebrewing quick disconnects. Many of these deals include free shipping offers. I like to use stainless steel quick disconnects because they shorten my homebrewing day by making my hose connects and disconnects (which I have many of) quicker. With conventional threaded fittings, moving around your tubing can be time consuming, troublesome and even dangerous when working with hot liquids. Quick disconnects allow you to more quickly and easily move your home brewing tubing. They save time and decrease ware on fittings and hoses. I highly recommend them as an addition to your home brewery. Here are some of the best deals that I have been able to find on home brewing quick connects and homebrewing quick disconnects. For a limited time, save 15% on home brewing stainless steel quick connects and quick disconnects! Looking for an excellent way to upgrade your home brewery and save some money? From now until 6/5/2015 you can save 15% are MoreBeer.com on their home brewing quick connects and quick disconnects. I use them on my home brewing rig and it is a nice time saver when it comes to cleaning and moving pump hoses from kettle to kettle. To take advantage of this limited time coupon code, just enter promo code SSQD15 during checkout to save 15% off our stainless steel quick disconnects!